The Hiawatha Community Hospital Emergency Department is designated a Level IV Trauma Center by the Kansas Department of Health and Environment. This designation recognizes the dedication of Hiawatha Community Hospital in providing optimal trauma care for those who have been injured in the community. In addition, the Emergency Department is declared an Emergent Stroke Ready Hospital and has the capability to diagnose, treat, and transport acute stroke patients to a higher level of care as warranted. 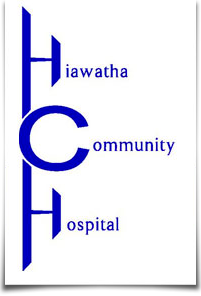 Hiawatha Community Hospital Emergency Department provides high quality, safe patient care with a dedicated team of nurses and providers trained in Advanced Cardiac Life Support, Trauma Nursing Core Course, Neonatal Resuscitation Program, Pediatric Advanced Life Support, and S.T.A.B.L.E. (Post-resuscitation/Pre-transport Stabilization Care of Sick Infants).